This blog will serve as a review for AP World History concepts. Women were pushed to the sidelines as dependents of men for hundreds of centuries. Women couldn’t vote, own property, or make contracts. Women were only seen as a way of enhancing the social status of a man. Most women worked as domestic servants rather than doctors or architects. It was until 1788, that Mary Wollstonecraft, from London, became one of the worlds first advocate for women’s rights. She published A Vindication of the Rights of Woman, one of the first works of feminism. It argued that the educational system of her time deliberately trained women to be incapable. She thought of an educational system that allowed girls the same advantages as boys and it would result in women who would be not only exceptional wives and mothers but also capable workers in many professions. Mary’s work was unique in suggesting that the betterment of women’s status be effected through political change as the reform of national educational systems. Such change would benefit all society. This book brung much controversy, but didn’t bring and reforms until the mid 1800s. Women in the U.S began to join the paid work force, and to seek higher education. Early women’s rights activists like Susan B. Anthony, publicly advocated women’s equal rights in state legislatures. These leaders demanded improved laws regarding child custody, divorce, and property rights for women. Susan argued that women deserved equal wages and career opportunities in law, medicine, education and the ministry. 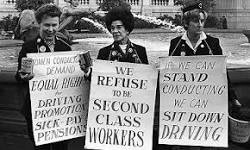 First and foremost among their demands was suffrage. 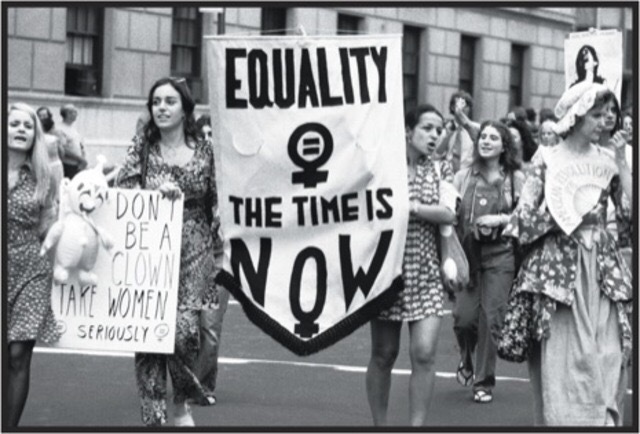 With these movements and advocating it led to the expansion of rights on women. An amendment was put in place for their right to vote, and soon, they would be equal to men. “The Womens Rights Movement.” The Womens Rights Movement. Web. 17 Feb. 2015. .
“Women’s Liberation Movement.” Women’s Liberation Movement. Web. 17 Feb. 2015. http://novaonline.nvcc.edu/eli/evans/his135/events/womenslliberation/womensliberation.htm&gt;.